Sri Lankan Talisman cricketer Kumar Sangakkara has been asked to reconsider his Test retirement to ensure the stability of the faltering national team. The top order Batsman had earlier declared his retirement after the test series against New Zealand, but the Sri Lankan Cricket Board has requested him to continue his career to avoid any more disruptions to the team. With Mahela Jayawardene also retiring the young Sri Lankan squad will be short of experience and will require mentors to guide the transition. With the 2015 calendar expected to be busy with test series at home against India, West Indies and Pakistan and an away test series in New Zealand the board hopes the veterans can mould the young guns for the future. 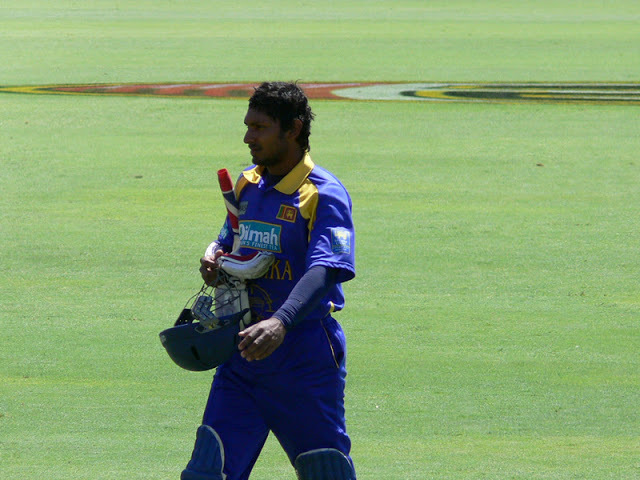 Sangakkara’s retirement will also mean cricket will miss one of its true greats. With an average run rate of 58.04, he stands a chance of overtaking Willy Hammond’s third highest average run rate of 58.54 in test cricket. He needs another century to equal the likes of Ricky Ponting, Jacques Kallis and Mahela Jayawardene for most home test centuries. A double century will see him equal Donald Bradman’s record of 12 a feat that has not been broken for 67 years. He also stands a chance of becoming the highest test run getter if he score 414 runs overtaking Saching Tendulkar and Jayawardane. Sangakkarra is one the greatest batsmen the island nation has produced over the years. Starting his career as a wicket keeper, Sangakkarra went on to excel in the no 3 batting position. He was later asked to focus solely on his batting with the cricket board believing the workload was too much to bear. He was part of the Sri Lankan squad that would go on to two world cup finals, beat Australia, India and England comprehensively in their home.